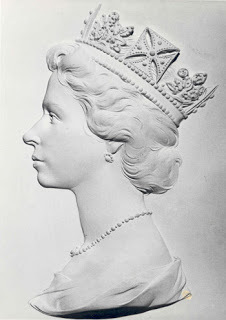 Since the first postage stamp which we all know was the 1d black that was issued in 1840, Great Britain has issued thousands more in many formats over the reigns of six monarchs. It is not so unusual that we have to revert to one or two of many catalogues that have been published over the years just to remind ourselves of the details surrounding the various issues. I was going through a stock book yesterday when I came upon something that I had completely forgotten about. Amongst a few pages of Country Regional cylinder blocks I noticed that there were a couple of cylinder blocks that did not look quite right. On inspection I remembered buying them as I liked the design at the time I also purchased several other issues linked to the same design. So easy to forget about this sheet issue as it is only vaguely mentioned in Gibbons Concise as a Gutter pair from the same sheet. 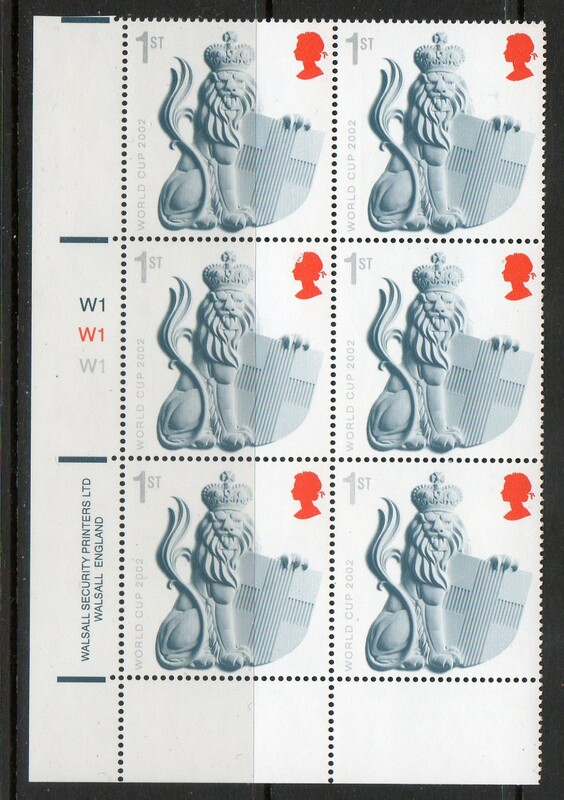 The cylinder block was printed by Walsall showing the A crowned lion holding a shield of St George. Issued on 21st May 2002 to celebrate the kick off of the world cup championships which were being held in Korea and Japan. I have not seen these cylinder blocks advertised anywhere. just a thought I wander what they are worth? 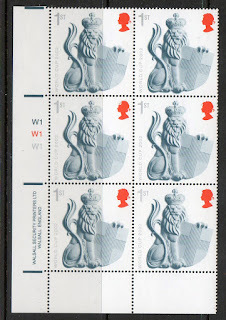 I remembered the same lion stamp as a single, one of the other issues released to co-inside, it was a mini sheet containing one single lion stamp and 4 x flag stamps. 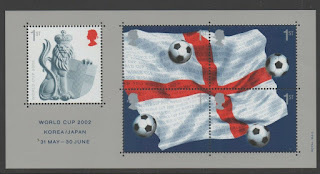 There was also a self adhesive custom booklet issued containing 4 x Machins and the 2 x special issues these are the top stamps from the original mini sheet making up the flag of St George. They are listed as different stamps as they are die cut and have self adhesive gum.